A full range of industrial electrical services can be carried out by Wolverhampton based electricians, Excel Electrical Contractors. 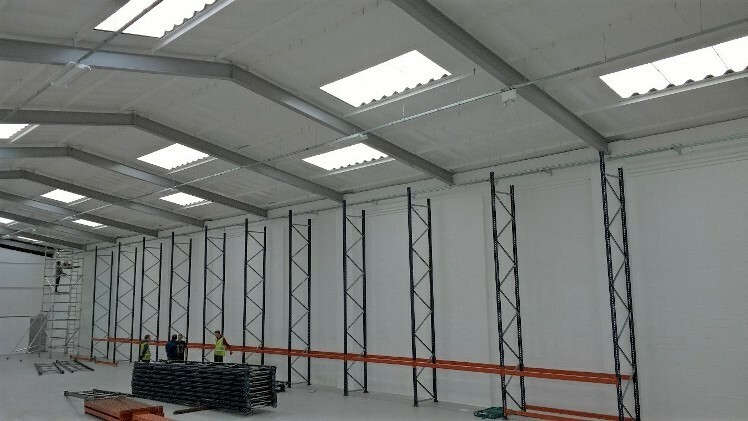 If you can think of an industry, there will be a company based in The West Midlands providing those products or services and each one will require industrial electrical services unique to them. The West Midlands is right at the heart of the nation. It has a long heritage of being at the forefront of UK industry. The central location is ideal for a range of industries and it is the home of manufacturing, engineering, logistics, communications, construction and many more. Excel Electrical Contractors have a proven record as industrial electricians. Working across many industry sectors to build and maintain the electrical infrastructure which keeps production, movement and communication going. We have recently set up the electrical systems required by offices and warehouses in Wednesbury and Telford. Putting in power sources, lighting and communication points. We are experienced in the design and implementation of lighting systems, including emergency lighting and fire alarms. Keeping your premises safe can be achieved with CCTV installation. When you have large electrical motors to power we can install your 3 phase circuits and distribution systems. Regular preventative maintenance will give your systems the green light and keep production and distribution going. We can assess power quality and provide you with periodic testing and reports, including PAT testing. We provide a complete electrical contracting service to industry. Excel Electrical Contractors are ideally situated to provide industrial electrical services across the West Midlands, and surrounding counties, such as Shropshire and South Staffordshire. If you are looking for a highly efficient and friendly service from a West Midlands based industrial electrical services provider, contact us to discuss your requirements and get a quote.